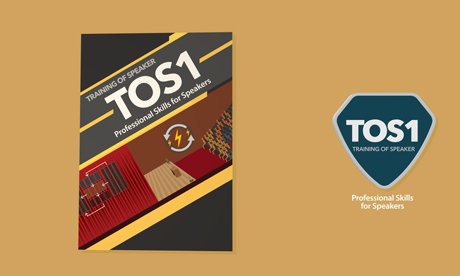 This program offers you the basics needed in order be a fluent and organized speaker, so that it becomes easier to achieve familiarity with learners, convince others and influence them, in addition to dealing with unexpected situations and questions. All of this is done through models providing you with procedures adopted gradually, in addition to creative ideas and techniques. This program is directed at trainers, teachers, new lecturers, trainers who did not undergo a formal training relevant to train of trainers, training designers and all administrators who need speaking skills. Meet the five needs of audience. Deal with six special speaking cases. Attract the audience by using seven sentences indicating their interests. Improve the skills of the use of voice. Improve the body skills in speech. Formulate an effective introduction and conclusion. Use twelve techniques to build self-confidence for being a speaker. Prepare speech by using simple steps. Analyze the audience before, during and after training. Motivate learners by using simple techniques. Distinguish between the five most commonly used communication levels. Describe the eleven most important factors affecting the way the individual receives a message and understands it. Describe the most efficient seven-factor communication model. Distinguish between the three types of noise in the hall, and deal with them. Describe the responsibilities of the moral speaker and listener. Increase participation and cooperation among learners. Apply the principles of non-verbal communication. Divide the speech into main ideas. Use the “4S,s Strategy” in developing main ideas. The five most commonly used communication levels. The eleven most important factors affecting the way the individual receives a message and understands it. The most efficient and commonly used seven-factor communication model. The three types of noise in the class, and dealing with them. Eight skills needed for the trainer as a critical thinker. The thirteen common problems that have been observed during the first courses. Defining the trainer’s ethics and their principles. The moral speaker’s seven responsibilities. The moral listener’s four responsibilities. Four guidelines for clean legal use. Five rules to avoid plagiarism. Twelve ways to build the speaker’s confidence. Nine guidelines to reduce tension and anxiety. Seven simple steps for the speech preparation process. Fifty questions to help you prepare your first speech. The three necessary things that you need to focus on with your audience. How to analyze the audience before, during and after training. The seven basic characteristics of your audience that you must analyze. The four elements that form your audience’s psychology. How to meet the five needs of the audience. How to deal with six special speaking cases. Three things to be cautious of that provoke the sensitivities of the audience. How to do analysis after speech. Nine techniques to motivate the learners. Seventeen important tips to increase the learner’s confidence and self-appreciation. Twenty-five tips to increase participation and cooperation. The basic principles of speech. The principles of non-verbal communication and how to benefit from them. Four basic techniques for speech. The components of vocal speech. How to benefit from the speed of your voice and its pauses. Ten important tips for visual communication. Using your movements and gestures in a way that enhances your message. Nearly thirty skills of speaking to learners. Formulating the question organized for speech. Dividing speech into main ideas. Nine techniques to provide pleasure in the class. “4S,s Strategy” for developing the main ideas. Four basic models of phrases to link the speech. How to use the topical, chronological, spatial or causal division in speech. Arranging the five functions for an efficient introduction. How to establish importance for your topic. How to establish your credibility to speak on your topic. The three components of an effective conclusion. Well-organized steps to plan speech.